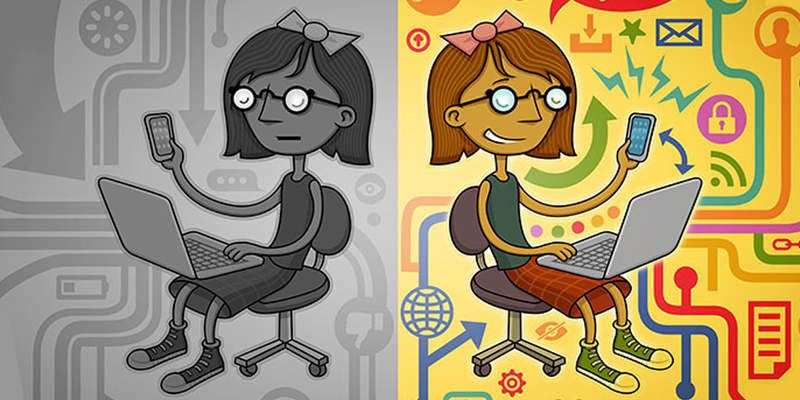 Congress took a big step today toward protecting net neutrality, competition, and privacy for Internet users. The House Energy and Commerce Committee just voted 30-22 to approve an amended version of the Save the Internet Act of 2019 (H.R.1644). Please join us in urging your members of Congress to pass the bill now. In 2017, despite a clear mandate from the people to protect net neutrality, the FCC abandoned its responsibility to enforce net neutrality principles. The move was highly unpopular among Americans of all political stripes as well as experts in how the Internet works. In fact, the only people it was really popular with were the big vertically integrated ISPs who seek to leverage their dominance to raise their profits at the expense of the free and open Internet. H.R. 1644 restores the FCC’s ability to police unjust and unreasonable conduct by ISPs. Unfair ISP practices recently took center stage nationally when Verizon was found throttling the wireless service of the Santa Clara Fire Department while the department was fighting a massive fire. The bill also reinstates the competition policies of the Telecommunications Act for the broadband access market, a measure that’s widely supported by the small competitors to incumbents like Comcast, AT&T, and Verizon. The committee applied two small tweaks to the legislation during the full committee markup. Bill sponsor Rep. Mike Doyle brought an amendment to permanently lock the 2015 Order as a matter of law to prevent any future FCC from ever repealing net neutrality again. The committee also approved an amendment to reinstate the temporary one year exemption on some of the transparency rule requirements the FCC adopted for ISPs that had less than 100,000 subscribers. Both of these amendments tightened the legislation to mirror the 2015 Open Internet Order and every amendment offered to weaken the legislation was rejected by a majority vote. Now the legislation will head to the House floor for a debate and the entire country will have an opportunity to demand their elected official in the House of Representatives take a stand against big ISP gatekeepers. Now is the time: let’s send a clear message to Congress that we can’t wait to bring back essential net neutrality protections. Tell your members of Congress to vote yes on H.R. 1644 and S. 682.